Transporting even more data even faster. With as few fibers, as little energy, in as small a space and at the lowest costs possible. Set out by the fiber-optic branch, this goal is resulting in several new connectivity solutions. Help in orientation comes from R&M. 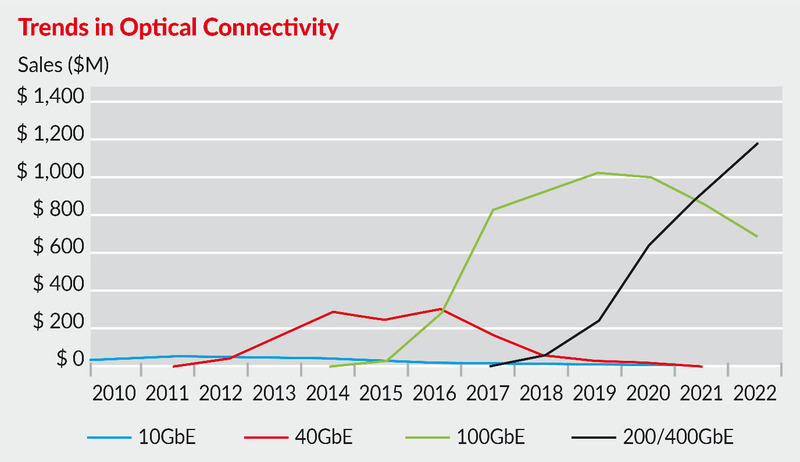 Transmission rates in FO networks will grow fourfold in the coming years. For data centers that means a leap from 100 to 400 Gbit/s. But the market is currently offering a somewhat surprising abundance of solutions for the relevant optical connectivity. A number of innovations will be launched from 2018, including compacted optical transceivers and On-Board Optics. 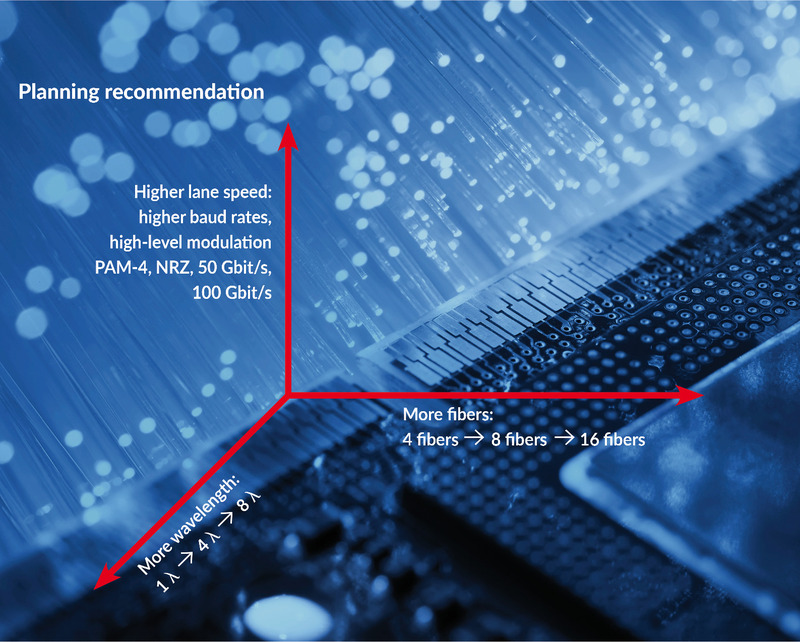 Which connectivity solution is going to enable data centers to safely and successfully make that daring leap to 400 Gigabit Ethernet? 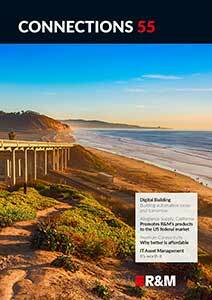 R&M investigates this question in the Focus feature in R&M’s customer magazine CONNECTIONS No. 53. Conclusion: For the moment, the race for the best solution and an optimal cost-per-bit ratio remains open. There is no long-term, universal solution that can cover all requirements and applications at the same time. More likely is an economically viable mix of technologies that corresponds to the status, area of application and business case. R&M advises data center operators to clarify a few fundamental questions before buying the latest optical connectivity. The company recommends an approach based on the physical variables seen in optical signal transmission. The three variables for achieving higher data rates are more fibers, more wavelength and higher modulation. The advantages and disadvantages of the variables and specifications first have to be weighed up according to the specific project and the individual preferences. R&M accompanies and supports its customers in the evaluation and planning process as a trusted advisor for network infrastructures, and guarantees quality-oriented and performance-oriented solutions. Optical connectivity is one of the strategic fields of innovation at R&M.